Learn the sign language now. DEF Training Centers Hyderabad, Vijayawada, etc..
Manpower Building 60+ Deaf staff 6 hearing staff etc.. Trained Deaf student candidates through etc.. Deaf students are today working in some etc.. Deaf Children participated in Competition Melas etc..
We are Deaf Enabled Foundation, an organization that is of the Deaf, for the Deaf and by the Deaf. It is our joy to share our desires, cares and needs with you. 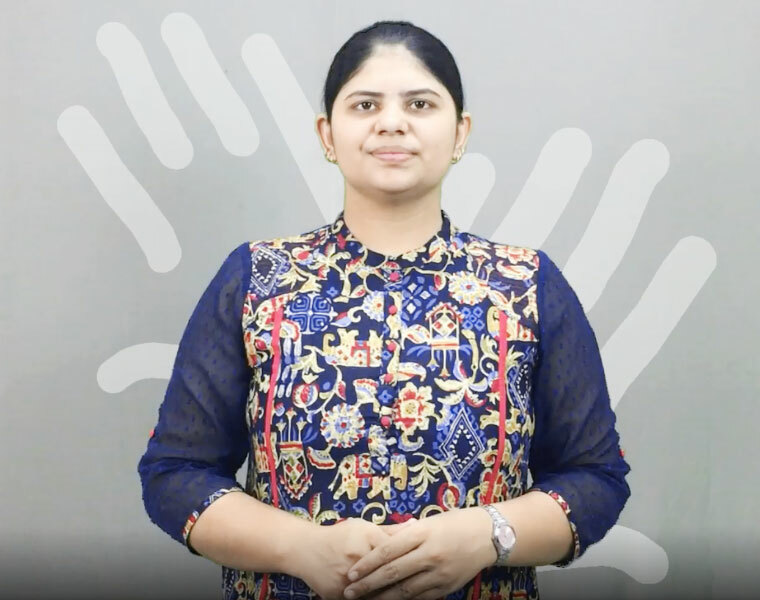 You will find a few videos on our website, this is because we communicate through Indian Sign Language and this is the best way for us to share what we have to say with our Deaf brothers & sisters across India. We welcome both the members of the Deaf community as well as the hearing people in our nation. Please do feel free to go through our website and if you have any queries you can send them to us. Thank you for giving us your time! Hi this is Priya Anand and Thank you so much to the Deaf Enabled Foundation for having me as your Ambassador it’s a huge honor for me and I hope that I can work with you guys, do lots of wonderful things and be a part of your organizations and watch it. I had a fortune of being a part of all your different activities for few years now and I look forward to my association with you for a long time coming and Thank you again for having being part of this. This is a huge honor for me and I hope that I am able to bring something that can enrich all this children lives with you guys. I am Pooja Jain. I am a student of Bachelor of Commerce at Deaf Enabled Foundation. I want to tell the recognition and enjoyment of the good qualities of Deaf Enabled Foundation. As I can get the betterment of development in my life I have been interested in changing my life. I have been taught how to get volunteering for Women Empowerment. Volunteering is of the best thing I can do. Hi!! I am Sharu Khan. I am a student of coaching center at Deaf Enabled Foundation in Hyderabad. I have learnt my life a lot so that I would like to be pleasurable contemplation of Deaf Enabled Foundation for guiding my success. My favorite subject is English and an English teacher has even taught me very well. I get an interested experience to learn a lot.As I first became aware of Leadership program I have enjoyed the benefit of being it and also I have a significant effect on a situation. Hello!! Foundational Course: Hi! My name is Hemalatha .I completed my Vocational Training Program at Deaf Enabled Foundation, Vijayawada. 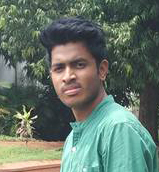 The six month program was an eye opener for me and I am so obliged to all the trainers and everybody as I always felt that I can never do anything in my life straight, Initially Computers were not an easy task for me, but with the support & patience of trainers I could learn and with sessions of Life Skills I could streamline myself. I am happy and thankful to Deaf Enabled Foundation. Talking hands is an initiative of Deaf Enabled Foundation With the support of B. Venkatesham, Secretary, Telangana State Tourism Development Corporation Ltd. Enter the world of silence, where the deaf community showcase their culinary skills, Enjoying the ambiance with walls embedded with signs and pictures, which gets you a clear picture of the silent world of Deaf, here you talk with your hands and listen with your eyes . We refrain from playing music so you can experience what absolute silence means. Only place to see deaf Stewards, who will take your orders in sign language and teach you some basic signs which you can keep handy for next time as well. So enjoy ordering food from the inviting menu using Gestures & Expressions. Enjoy the Artistry of Sign while you dine. By donating to the Deaf Enabled Foundation, you will be showing your support for our vision of equity for deaf people and helping us to provide vital supports that improve the lives of deaf and hard of hearing people across India. Simply download the iOS or Android app when your Deaf Enabled Foundation arrives and you’re good to go.